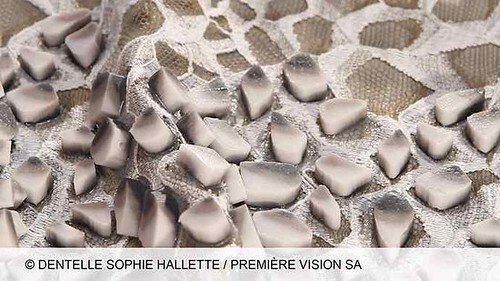 Eco textiles at "Premiere Vision"
September is the month of fabrics fairs. Whether it’s for “Premiere Vision” or “TexWorld”, Paris becomes the crossroads for fabrics buyers and sellers. In February, I visited this fairtrade like a “tourist”, stopping just before the most amazing pieces. This time, I went as a buyer for my future pyjamas. As you might guess, I was looking for eco-friendly fabrics. Shortly after, I had to face the facts, my choice would not be very complicated, because I had very few options. In addition, eco-friendly manufacturers were not putting forward their eco textiles. Clearly, ecological brands might find some trouble to sourcing. With a few exceptions, of course. But back to the tradeshows. 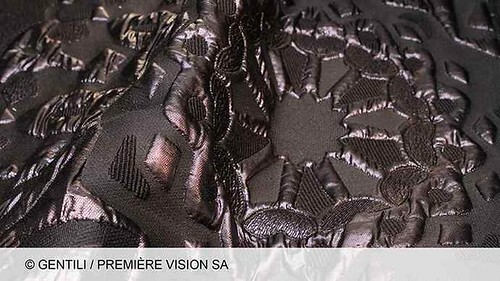 “Premiere Vision” is the largest and most complete fabrics fair. It is not only for textile but for what is needed making garments: spinners, weavers, colorists, printers, consultants, designers and manufacturers. On this show, we can meet all providers neccessary for a collection. “Premiere Vision” tradeshow is organized into several sections, depending on the purpose of the fabrics: “outer & over”(coats, suits, raincoats),” tops & shirts “(blouses, shirts, underwear), “evening focus”(evening gowns or wedding),”tech focus”(sportswear, swimwear) and” knitwear solutions “(knits). By “eco-conscious” fabrics, we understand not only organic fabrics, but also fabrics obtained from recycled yarns, or those with eco-friendly finishings as vegetal dyes or non-fluorine atoms primers. Tencel / Lyocell, a natural fiber made from wood dissolved in a non-toxic solvent, is also considered as “eco-conscious”. The most spectacular fabrics remain assemblies such as: neoprene / cashmere / jersey, velvet /gauze, membrane / lace, knit/woven. These layers are laminated or needle-padded to provide fabrics with super powers: reversible, breathable, warm, windproof and chic. The question is whether their manufacturing remains eco-friendly. 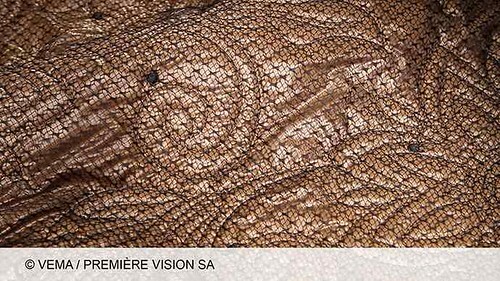 If you want to know more about textile trends, I invite you to check the websites of both shows: “Premiere Vision” and “Texworld”. Casual seamstress can find green fabrics to buy on sites like BioTissus, La Modette, Les Trouvailles d’Amandine ou Air Brinic (in French ).